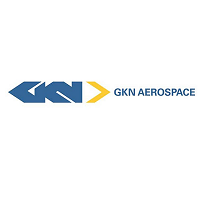 GKN Aerospace Recruitment 2019: GKN Aerospace is recruiting for the role of Graduate Trainee. The recruiters of GKN Aerospace are inviting the candidates who completed their B.E, B.Tech, M.E, M.Tech Degrees for the GKN Aerospace Graduate Trainee Jobs in Bangalore. So, interested and eligible candidates can happily use this information and apply for this Recruitment. Down Here, we had given the Online Registration to apply for the GKN Aerospace Recruitment 2019. Furthermore, you can check the details of the Job Description, Eligibility, Company Profile etc. Should support product development activities by performing manufacturing engineering and process planning activities of Aerospace Components. The execution will mostly be in accordance with established methods, tools and aerospace standards such as APQP & PPAP. However, the engineer would also have opportunities to contribute to internal process improvement activities and driving new technology. BE/ B.Tech Equivalent or Higher qualification, preferably within Mechanical Engineering/ Aerospace/ Production/ Industrial Engineering, from reputed institutes/ universities. Fundamental understanding of manufacturing engineering and processes. Awareness of APQP, PPAP, FAI, and Problem-solving process is an added advantage. GKN Aerospace is the world’s leading multi-technology tier 1 aerospace supplier. With around 50 manufacturing locations in 14 countries, we serve over 90% of the world’s aircraft and engine manufacturers. We design and manufacture innovative smart aerospace systems and components. Our technologies are used in aircraft ranging from the most used single-aisle aircraft and the largest passenger planes in the world to business jets and the world’s advanced 5th generation fighter aircraft. Click on the below link to apply for the Jobs in Bangalore. Read all the terms and conditions to attain the Graduate Trainee Jobs. Submit all those once after you check them. Hence, apply for the GKN Aerospace Recruitment 2019 through online registration link given above. Furthermore, for more updates and alerts, keep visiting our website Freshers Now regularly. Drop a comment to clarify your doubts in the comment section.